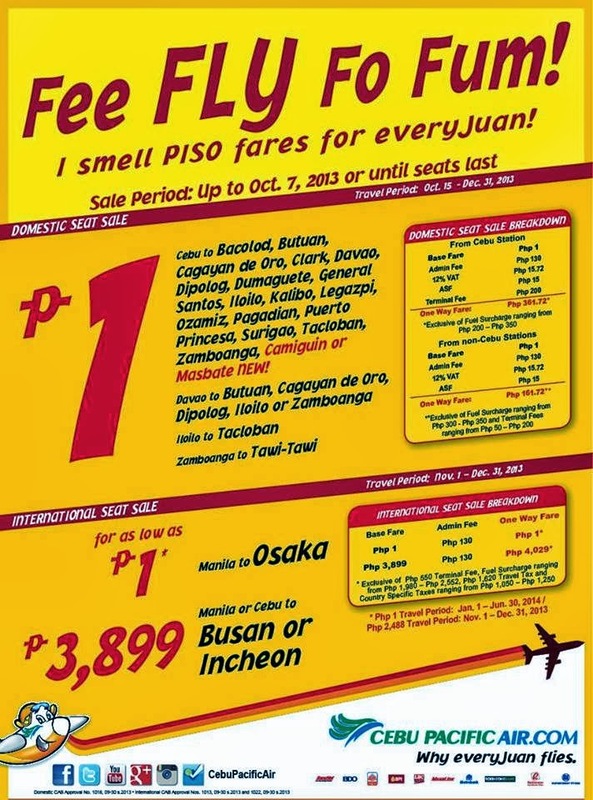 Cebu Pacific Promo Fares 2019 to 2020: PISO FARE For EVERY JUAN! 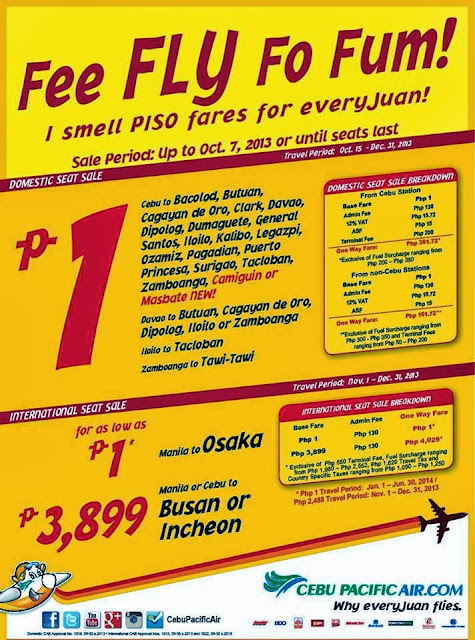 Cebu Pacific Promo Fare: Fee FLY Fo Fum! I smell PISO Fares for everyJuan! CEBU to Bacolod, Butuan, CDO, Clark, Davao, Dipolog, Dumaguete, General Santos, Iloilo, Kalibo, Legazpi, Ozamiz, Pagadian, Puerto Princesa, Surigao, Tacloban, Zamboanga, Camiguin, Masbate! *Please note that mandatory TAXES, Fuel Surcharges and other fees still apply to the P1 base fare. pisodin ba if gensan to iloilo city?